Ala Kahakai National Historic Trail would like to encourage as many people as possible from Upolu Point in North Kohala down the west Hawaii coast and around South Point to Hawaii Volcanoes National Park to get outside to enjoy trails Saturday, June 5. It’s National Trails Day, a national event that raises awareness of trails and informs the public of the need to protect and maintain trail corridors. Get out! Hike a trail. Why we celebrate: America’s 200,000 miles of trails provide access to the natural world for recreation, inspiration and education. Trails provide opportunities to breathe fresh air, get hearts pumping, escape from daily stresses and maintain overall health. In Hawaii, trails also allow us to connect with our ohana (families) and the aina (land). 10-11 a.m. Living history hike with “Olohana” John Young. Hawaii Volcanoes National Park – Summit Hike at 10:30 a.m. or 1:30 p.m. , 45-60 minutes. Meet at Visitor Center. Record your National Trails Day hike with photos and journal entries. If you want to share them, send items to ALKA_Interpretation@nps.gov. For more event details and other updates, call (808) 326-6012 ext. 104. Everyone is invited to take advantage of free admission to Hawaii Volcanoes National Park this weekend, June 5-6. Days are longer and temperatures warmer at Kilauea Volcano’s 4,000 foot summit. “The park is the perfect place to exercise the body and relax the mind,” Park Superintendent Cindy Orlando said. The lava lake deep within Halemaumau Crater continues to glow, ohia trees are abloom with red lehua, and above all, on the wing, is Hawaii’s newest generation of Hawaiian geese and honeycreepers. Join rangers on guided walks. 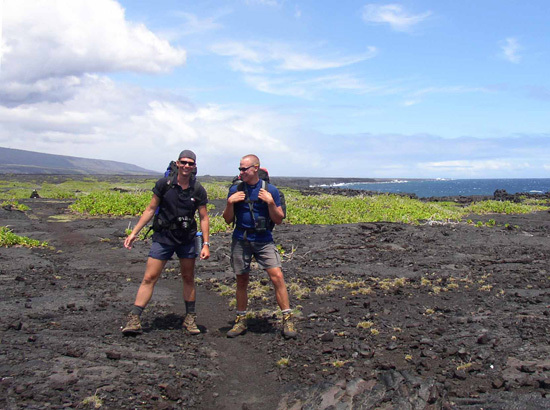 Or pick up a trail guide and head off on your own to hike a segment of the 130 miles of marked trails that extend from the coast of Kilauea to the summit of Mauna Loa.